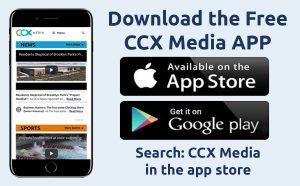 This week on CCX Media’s Sports Jam, highlights from prep football as both Maple Grove and Wayzata score wins over ranked teams with the Crimson toppling # 1 Minnetonka. Also on the show highlights from prep volleyball, soccer, tennis and a recap of the Metro Invitational cross country meet. In our Sports Jam Spotlight segment John Jacobson profiles Champlin Park girls soccer player Alex Lotts. The senior leads the Rebels in scoring as the team is off to the best start in the program’s history. Also Jay Wilcox talks with Armstrong girls tennis players Mallory Lithun, Sarah Appelen and Kaitlin Moe about the Falcons’ strong start to the 2018 season. Plus our Sports Jam Plays of the Week.